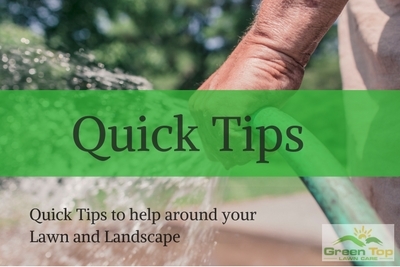 Many homeowners understand that fertilizer should be beneficial to their lawn. However, they apply fertilizer season after season without seeing much alteration in the quality of their turf. It’s frustrating for them because fertilizer is fairly expensive, and the time involved in applying it is not inconsequential. The mistake many homeowners make is that they don’t know their soil’s pH. When we begin evaluating a lawn, one of the first things we do is test the soil’s pH. The pH range runs from one to 14, with one signaling a highly acidic soil and 14 meaning a very alkaline, or base, soil. On this range, seven is considered neutral. The closer your soil’s pH gets to neutral, the healthier your lawn is likely to be. In fact, most turf experts agree that a soil pH of between 6 and 6.8 is ideal for most lawns. Accordingly, the goal of any soil amendment program should be to bring your soil’s pH into this range. When your soil is too acidic or too alkaline, it is impossible for your grass to flourish. It may be starving for some nutrients while being overfed with others. Understanding how your soil’s pH level affects the health of your turf, it’s much easier to ensure that your lawn gets the nutrients it needs. We will apply either Lime or Sulfur, depending on your soil pH. We service lawns in communities like Euless, Grapevine, Bedford and beyond. If you’ve been applying fertilizer without seeing results, give us a call. We’ll test your soil’s pH and start a program to bring it into balance. Along with pH balancing products, we will apply the right fertilizer at the right time and in the right amount to make certain that your lawn thrives. So getting your soil pH right is absolutely essential, if you want nutrient-dense lawn. Call Green Top Lawn Care to schedule your soil pH balancing. Call Green Top Lawn Care at 817.684.4044 or use our Contact form for a free, no-obligation evaluation and estimate or to learn more about pH balancing soil!